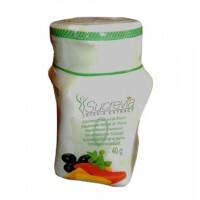 Natural Sweetener stevia, without calories. 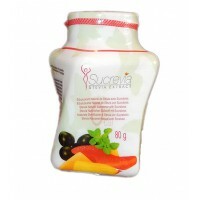 Since 10 years, Sucrevia is offering homemade and natural stevia. The dried leaves of stevia are grown in their region of origin between the Andes and the Amazon. The sweetening properties of stevia are extracted by maceration with water and filtration without alcohol at 4000m of altitude. All within a concept of a fair trade. Our stevia products are stored and shipped from a distribution center in France for fast delivery. 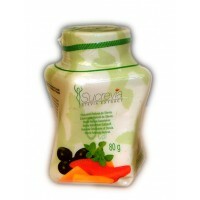 Easily sweete your hot and cold drinks without calories with our stevia products in powder, pastilles, liquid or sticks. Choose between our 2 recipes according to your taste. Dare lighter pastries with less calories and discover our recipes with stevia. Stevia is stable up to 200ºC. 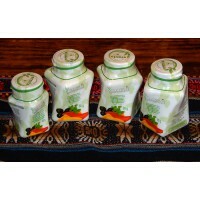 Products in Bolivia, our stevia is distributed from France. Pay easily and securely via your credit card or Paypal account. Our site is ssl certified. Shipping cost from 3£30, offered for any purchase over 50£. Cultivated between the Andes and the Amazon, organic stevia leaves are filtered by water, maceration and natural filters in order to extract sweeteners from stevia. Excellent product which I have been using for about 6 years and would recommed it to anyone. The one without sucralose is best because it's more natural. Delivery from France says 3-5 days, but it's more like 3-4 weeks.